protect his men against German fire. Only at the last moment, after all his men had successfully crossed the river, did the much-decorated Lieutenant plunge into the icy river and swim to safety. His son, winemaker François Mikulski, grew up with the same determination and courage and independence. 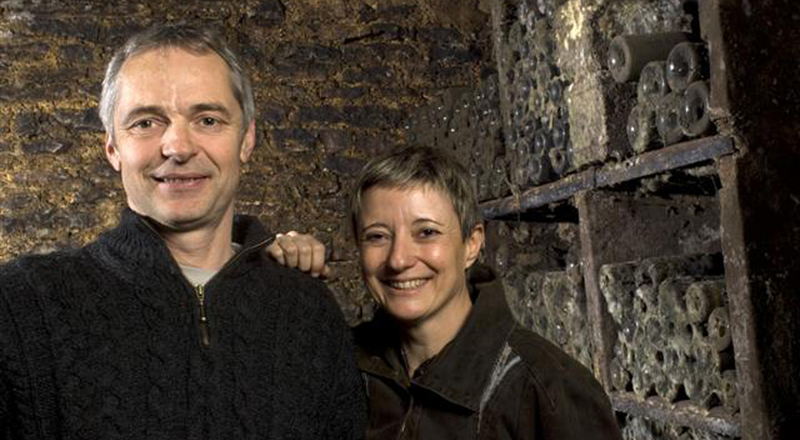 François’ energies have vaulted him into the top eschelon of Meursault producers. 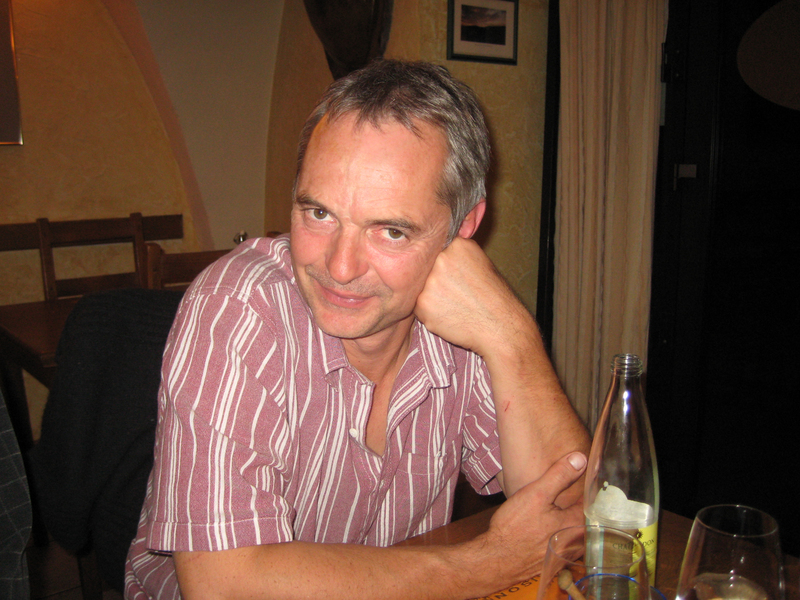 It would be difficult to find a winemaker more thoroughly worldly than François Mikulski. 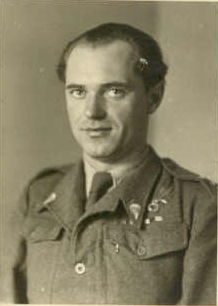 After the Second War, his Polish father married a French woman working on an American base in England. The couple moved to Brussels, where François was born and raised. 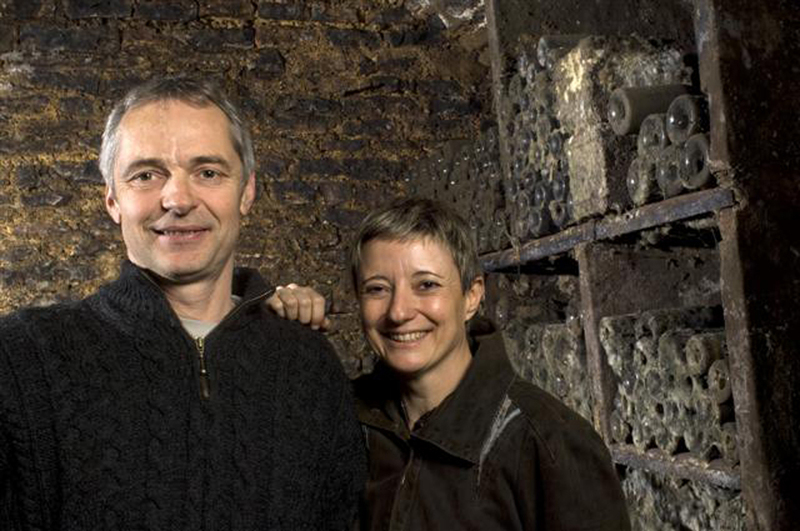 As a boy, François spent his summers in his mother’s native Burgundy, where he came under the spell of his uncle, the eminent Meursault winemaker Pierre Boillot. As a young man, determined to become a winemaker himself, François journeyed to the United States 1983 where he was tutored by Joss Jensen in Oregon. After his studies, François bought an old Studebaker and drove across the US via Route 66 in emulation of Jack Kerouac. François returned to Meursault and worked with Pierre Boillot until 1992. The vineyards comprising Domaine Mikulski currently total approximately 8.04 hectares. The Meursault Premiers Crus include .5 hectares of Les Genevrières, situated in Genevrières Dessus, with parcels planted in 1948 and 1993 , and annually yielding an average of 10 barrels; .80 hectares of Les Charmes, situated in Charmes Dessous, with parcels planted in 1913, 1930, and1998, and annually yielding an average of 16 barrels ; .6 hectares of Les Poruzots, situated in Poruzots Dessus, with parcels planted in 1948 and 1985, and annually yielding an average of 12 barrels; and a .25–hectare parcel of Les Gouttes d’Or , with pieces planted in 1963 and1989, and annually yielding an average of 4 barrels. The Domaine also purchases grapes from the prestigious Perrières Dessous section of Les Perrières, from which it makes a tiny quantity of very special wine each year. The Domaine also posseses a miniscule .12-hectare parcel of old vine (over 55 years old) Le Limosin, a villages-level climat situated just below Genevrières Dessous, that many argue is worthy of Premier Cru status. Mikulski produces a mere 50 cases a year of this Meursault. Holdings of other villages-level Meursault aggregate 1,5 hectaresand include parcels in lieux-dits Meix Cavaux, Moulin Landin, Les Pelles Dessous, and Chaumes de Narvaux. Together these vineyards, which were planted between 1955 and 1985, yield about 650 cases per year. In addition, the Domaine owns .5 hectares within the lieu-dit Les Herbeux, situated near the old Meursault cemetery and adjoining Clos de la Barre, from which is produced about 225 cases of Bourgogne Chardonnay annually. Domaine Mikulski also includes 2 parcels of Aligoté, in lieux-dits Grandes Gouttes and Les Veloupots both planted in 1929, and yielding about 1000 cases per year. Domaine Mikulski holds a .9-hectare parcel of Volnay Premier Cru, Santenots-du-Milieu. This parcel, in the early part of the twentieth century, was under common ownership with the parcel currently owned by the Domaine des Comtes Lafon. The grandfathers of François Mikulski and Dominique Lafon each acquired their respective portions of the vineyard at that time. Mikulski annually produces about 400 cases of this superb wine. The Domaine also owns a small .12-hectare plot of unusual red Meursault Premier Cru, Les Caillerets, planted in 1975, bottling about 50 cases a year. Previously, Domaine Mikulski owned a .6-hectare parcel of Pommard but this has now been sold. The Mikulski holdings of Bourgogne Rouge comprise .5 hectares within the lieu-dit Les Durots, planted in 1929, and presently produce about 260 cases annually. The Domaine’s Passetoutgrains, a 50/50 blend of Pinot Noir and Gamay, is produced from .5 hectares of vines in total, including parcels of lieux-dits Les Durots, Les Veloupots, and Les Grandes Gouttes, all planted in 1929. The Domiane produces about 220 cases annually of its remarkable old-vine Passetoutgrains. The winemaking of François Mikulski reflects his background and heritage. He is, through his mother and uncle, enough of a Burgundian to understand terroir and to take from tradition those things of enduring value. But he is equally, through his personal development and experiences, receptive to innovation and not inclined to a subservience to needless tradition. He frequently travels abroad to exchange ideas with other eminent winemakers. At the same time, he remains his father’s son and determined to follow his convictions, independently and courageously. After meticulous triage in the vineyards, François de-stems his Chardonnay completely and presses it very lightly followed by a complete débourbage (process by which the must is clarified prior to fermentation). After a fermentation that typically lasts about 15 days, the wine is racked into French oak barrels in which they undergo malolactic fermentation and élevage (aging) for a total of about 16-18 months. François uses only 20% new oak with his white wines., believing that excessive wood masks full expression of the terroir characteristics. The Gamay grapes are also subjected to severe vineyard triage. The whole clusters, with berries intact, are then placed into a sealed vat for carbonic maceration. In this process, the whole grapes begin to ferment in an anaerobic environment, with carbon dioxide (a natural byproduct of fruit sugar converting chemically into alcohol) permeating the grape skins and stimulating fermentation at an intercellular level within each berry. This process triggers certain enzymatic reactions within the grape that result in lower acidity and tannins, higher glycerol, and the dominance of particular phenolic compounds. Altogether, carbonic maceration tends to produce brightly-colored, aromatic and fruity wines. The Pinot Noir at Domaine Mikulski is, after careful selection and complete de-stemming, , fermented in open vats for about 15-17 days, then racked into French oak barrels (35% new for the Meursault Les Caillerets and Volnay Santenots-du-Milieu), in which the wines undergo malolactic fermentation and age for 14-18 months. It is axiomatic to the Burgundian commitment to terroir that vineyard management is the most crucial element in making wine expressive of the vineyard and vintage. François Mikulski is a practitioner of lutte raisonnée, a system of vine cultivation that is essentially organic and noninterventionist. Lutte raisonnée entails holistic and balanced viticultural management with primary focus on the microbial health of the soil and the biodiversity of the vineyard. The governing policy is to support and maintain the natural ecosystem of the vineyard so that the vines can prosper without intervention, thereby naturally resisting pests and disease. The system pursues a reasoned and not absolutist approach, however, and practitioners will intervene organically ( and occasionally even chemically) if certain danger thresholds are passed. Most importantly, practitioners of lutte raisonnée do not intervene routinely (even with organic treatments) as prevention but only as compelled by unusual conditions. As a practical matter, therefore, lutte raisonnée can be distinguished from biodynamie in that the former implies the application of treatments only as a necessary response whereas biodynamie implements treatments systematically as prevention. Proponents of lutte raisonnée thus assert that their approach typically results in less intervention and is accordingly more in harmony with nature. “La lutte continue.” The debate goes on. hallo I am from Latvia and interesting abaut a job for the harvest time.do you have a free vacancys? I and my friend last harvest was work in Olivier Leflaive domain,but this year they are full.so maybe is posible get job in your domain? Sorry, I am just a poor unsalaried blogger here in California, alas far removed from the vineyards in Burgundy. I will, however, forward your request to Francois Mikulski. Good luck! Is Mister Mikulski has a website? Can You help me with that? Of course we have ! Excellent review Thank You well done..